We’d love your help. Let us know what’s wrong with this preview of Holding Up the Sky by Magabala Books Staff. Those were beautiful days. How else could I describe them? Everything was so green, the days were sun-filled, the smell of ti-tree and smoke in the air and family all around. Most of all, to me, my mum and aunties were beautiful young women with waist-long hair, black, wavy and shiny. 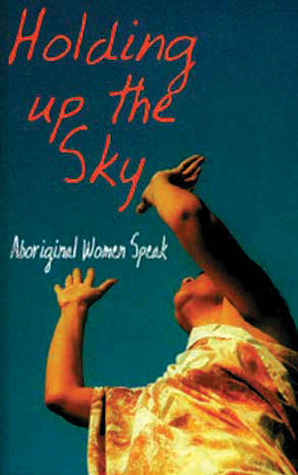 In this unique collection nine Aboriginal women from around the country recount their live Those were beautiful days. How else could I describe them? Everything was so green, the days were sun-filled, the smell of ti-tree and smoke in the air and family all around. Most of all, to me, my mum and aunties were beautiful young women with waist-long hair, black, wavy and shiny. To ask other readers questions about Holding Up the Sky, please sign up.